NowRenting provides you with a printable pdf document we call the Lease Ledger, which lists credits, debits and balances on a Lease’s account. To access the Lease Ledger, navigate to the individual Leases page, then the Balance pill. 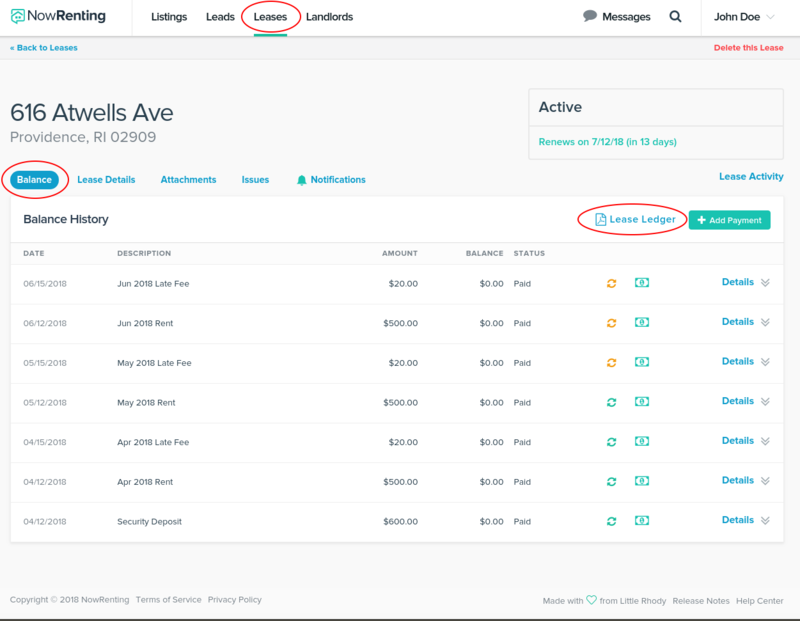 The Lease Ledger link can be found on the right, next to the Add Payment button.